Step Down Music is an independent, underground hip hop label originating out of Los Angeles, California. Independently owned and run by Profound (Producer/MC) and Convoy (Producer/MC), Step Down has made its name in the west-coast underground scene as a database for political, controversial, and anti-commercial music flexing originality in lyrical styles and unique instrumentals. 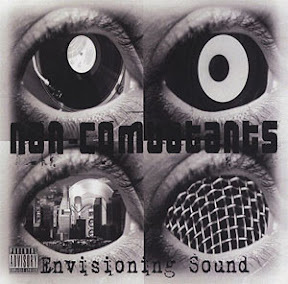 The label’s featured group “Non-Combatants”, consisting of Profound and Convoy, was formed in the early 2k’s as a political project, and touched on sensitive topics such as freedom of speech, religion, comformity, commercialism, and artistic influence.